What Caulk to Get for a Hot Tub? Caulk keeps water where it belongs, acting as both a glue and a sealant in damp environments. Loose or damaged caulking must be removed and replaced to prevent water damage. 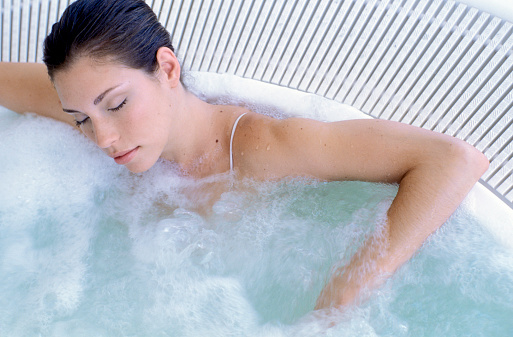 Hot tubs offer a great way to relax, but they do require regular maintenance. Use exterior caulk for hot tubs installed outdoors, while interior caulk may be sufficient for an indoor hot tub. Consider the temperatures that the caulk will be exposed to and purchase caulk that will stand up to those temperatures. Select a caulk that's intended for high-moisture areas. Silicone caulk is commonly used in many different applications because it's versatile and flexible. There are formulations of silicone caulk suitable for either indoor or outdoor hot tubs. Latex caulk is durable but it doesn't endure temperature changes well, making it impractical for an outdoor hot tub. On the other hand, acrylic latex silicone blend caulk is good for both indoor and outdoor purposes and it's easier to apply than plain silicone caulk. Kitchen and bath caulk is an excellent choice for an indoor hot tub because it stands up to moisture and resists mold. Use a razor blade or 5-in-1 painter's tool to remove existing caulk. A heat gun or hair dryer can soften old caulk and make it easier to remove. After removing old caulk, wipe the area down with mineral spirits to ensure that it's clean. 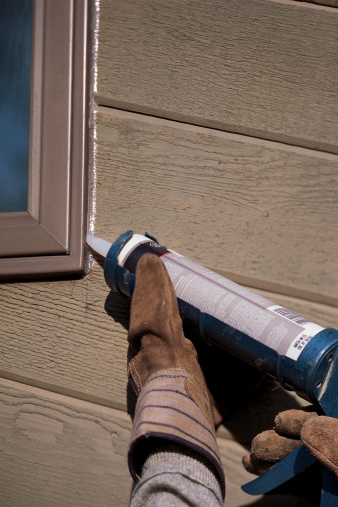 Make sure the joint to be caulked is completely dry before applying new caulk. You can use painter's tape on either side of the joint to ensure a neat caulk line. Apply your new caulk and wait for it to dry before using your hot tub. Can You Put Caulk on Treated Lumber?